Solutions to the integrated management of water, energy and land resources to help the Mekong Delta adapt to climate change was the centre of discussion at a workshop in Can Tho city on June 13. The workshop was held by the Can Tho city People’s Committee in collaboration with the Vietnamese Ministry of Science and Technology, the German Federal Ministry of Research and Education, and the Karlsruhe Institute of Technology. Concerning water resources, Professor Franz Nestmann, managing director of the Institute of Water and River Basin Management of the Karlsruhe Institute of Technology, cited his research saying that the Mekong Delta is facing complicated problems of natural resources, from saline intrusion, drought, landslides to floods and land subsidence, therefore solutions to adapting to climate change are a top priority. He also put forward many ideas such as limiting the exploitation of underground water and protecting mangrove forests to prevent land sinking, building systems to bring fresh water to coastal areas to reduce saline intrusion as well as reservoirs to store water for the dry season. As far as energy management is concerned, Prof. Dr. 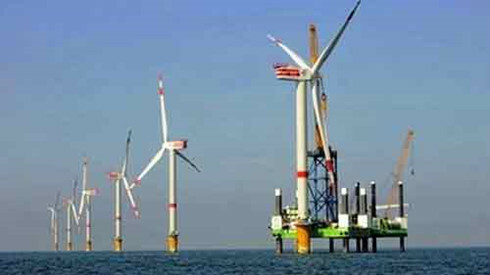 Le Hung Anh from the HCM City International University said the region should develop renewable sources like wind energy, solar energy and tidal energy, adding that the abundant straw in the region can be used as a source of fuel instead of burning it. In relation to land resources, Dr. Satoshi Kameyama from Japan’s National Institute of Research on Environment said recent research shows the build-up of silt at coastal areas in Ca Mau province is slowing down, while land erosion into the sea has been occurring faster. According to him, the reduction of silt is the direct result of building dams on the Mekong river’s main stream. Kameyama said it is necessary to build wave-breaking dykes and preserve coastal forests as well as build residential areas on elevated land to avoid damage to humans and land in the case of severe floods.